On a Sunday this January, at about 4.30pm, I got a call on my mobile from a woman who introduced herself as Gemma – she sounded like she was in her early twenties – who wanted to tell me about a limited, half price special on membership. I was not irritated or put out, because I had previously considered joining. Gemma had found somebody willing to listen to her (I also envied her sheer guts for making the call). Perhaps she made 50 calls that afternoon and only achieved a handful of sales, but sales they were. People say that cold calling is dead. That it’s rude and disruptive, but cold calling will never be dead so long as you find willing customers at the end of the line. We just have to find ways to do it better, in a way that is not so intrusive to the customer and less stressful for the salesperson. The strenuous objections of your nervous system aside, the reality is that nothing beats ‘cold contact’ for quick results, quick wins and immediate cash flow (particularly if you marketing department is terrible at generating leads – hands up anybody?). Quick wins, especially when cash flow suddenly tightens up and things slow down, remain critical, as does connecting with companies you want to do business with but aren’t necessarily networked with. In an ideal world, a sales manager and sales person could rely on the marketing department and good networking to create a stream of leads, but let’s face it, they rarely do. A browse through job sites like Seek makes it very clear that even January 2017, companies want to hire sales people who are ready, able and willing to cold call. In the consumer space, picking up the phone and calling strangers may be unavoidable. In the business to business space, it doesn’t have to be that way. A common approach today is to warm up the potential customer with an email, or two. Easy, but easy to ignore, delete or miss too. A bit of honesty, a short video and a novel delivery method will be so hard to ignore that potential b2b customers may actually pick up the phone before you do. Wendy Evans, the author of How to Get Business in 90 Days and Keep It, couriers a basket of fruit with a free copy of her book to the potential customer ahead of picking up the phone. Not everybody has a book, but everybody can produce a smart, authentic video – with a dash of humour – and deliver it straight to the reception of your high value prospect with some clever, but cheap and disposable technology. 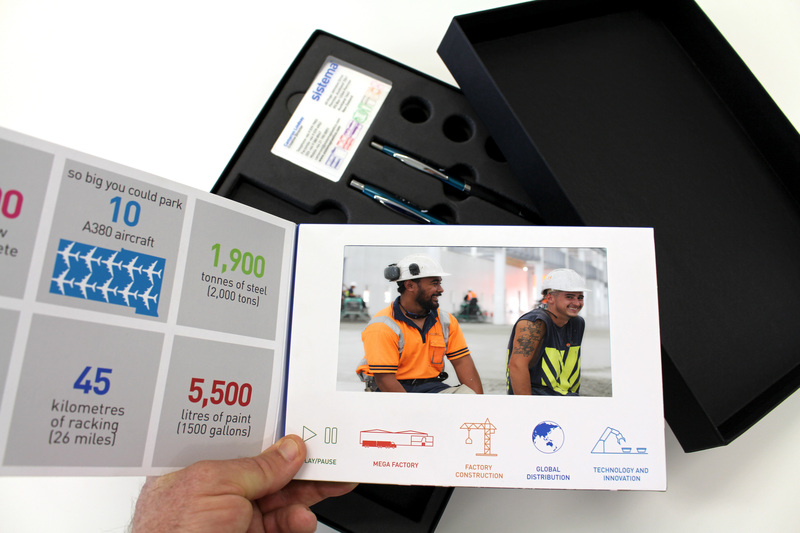 One company I have heard of, will courier an iPad in a nice box to the potential customer. The iPad plays a video in which the salesperson addresses the potential customer by name. At the end of the short video, staff humorously debate how they they’re going to ask the potential customer – again referred to by name (it is easier and cheaper than you think) – for their iPad back. But you don’t have to use an iPad. At Real-TV we offer the option of using a disposable, cheap video booklet made out of cardboard (details on exactly how to do it can be found in our free eGuide, ‘Never Cold Call Again, How to Get That First Appointment Using Video’. The point is this. The telephone is not the only cold calling tool available. Technology driven tools like social media, camera phones, content marketing blogs and landing pages, have – some would argue – eclipsed cold calling, but those approaches take time. 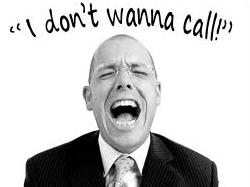 Cold calling is still the shortest distance between two points. 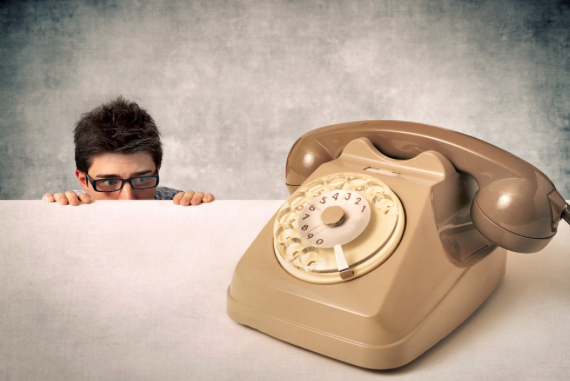 It’s time to use some of that technology to change the way you do cold calling. Next readingHow do you build ‘liking’ and trust with b2b prospects almost from the first cold call?